Stephen Au Yeung is a legend in his own life time. He’s the renowned developer of Live Tables games Casino Hold’em and Unlimited BJ with Auto Splits, and someone I’ve been very keen to meet. Normally meeting a legend happens by chance, you bump into them or you’re introduced by a friend. I on the other hand chose to take chance out of the equation. Simply, I sent him an email and arranged to meet up with him at the ICE Totally Gaming Conference in London. I was keen to understand whether anything else he was working on might end up at an online live casino. His career has been fairly well documented; The Pogg did a good interview with Stephen in 2015, so I’m not going to repeat a lot of what was said there. 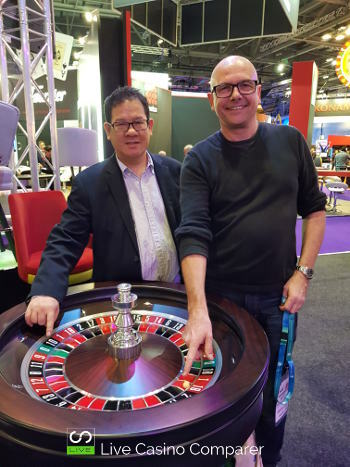 In summary, Stephen started out in gambling as an advantage player, becoming proficient in Blackjack, Backgammon and Poker, winning a number of titles along the way. He was also famously responsible for giving Dave Ulliot the nickname DevilFish. Stephen developed Casino Hold’em as a training tool for his girlfriend who was learning Texas Hold’em. Inspired by his friend Derek Webb, who developed and sold Three Card Poker, he continued to develop the game which officially launched in 2000. It was another 10 years before we started seeing it online. 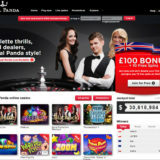 What I was interested in was the new release of Unlimited Blackjack Auto Splits that Ezugi has just launched and any other new developments that might find their way to live casino. Stephen is a fairly typical entrepreneur. He is driven and is completely excited about all of the products he’s developed and really keen to show them off. As we chatted he was darting around the stand interrupting people looking at the games to give them his sales pitch. At heart Stephen is a mathematician. 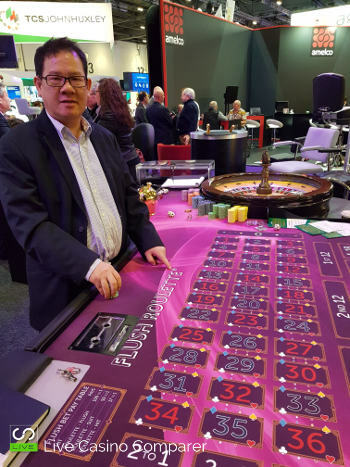 His capacity to understand odds to games has allowed him to create new games and side bets that provide the player with excitement, while still delivering an edge for the house. Developed over 150 games complete with all the maths in place. Created 35+ side bets for Blackjack alone. 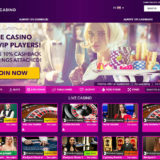 Has 6/7 games already in use online and in land based casinos. Of all the games Baccarat and Roulette provide the greatest challenges when creating new versions and side bets. 5 new games were being demonstrated on his stand. 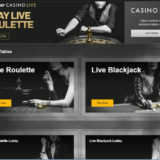 Unlimited Blackjack Auto Splits is already playable at Ezugi Live Casinos. The game is based on normal Blackjack, but only one player hand is dealt. An unlimited number of players can play the hand. The differences come with two rules. The player has to stand on 19 or more. Pairs or value 2-2 , 3-3, 6-6,7-7, 8-8 & A-A are automatically split. The player is given the choice to play one or both hands. 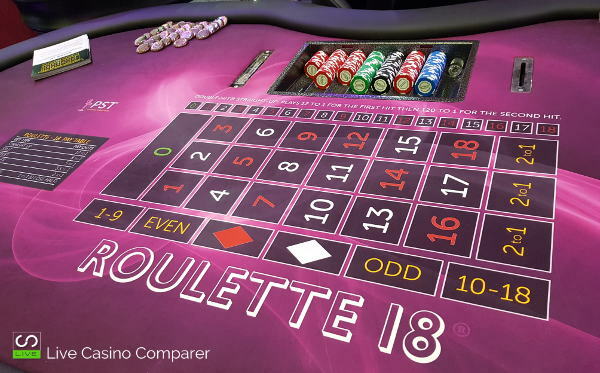 Roulette 18 is played like normal roulette but has only 19 numbers 0-18. The table is smaller and a special wheel has been designed. House edge on even money bets is 2.63% and other bets 5.26%. 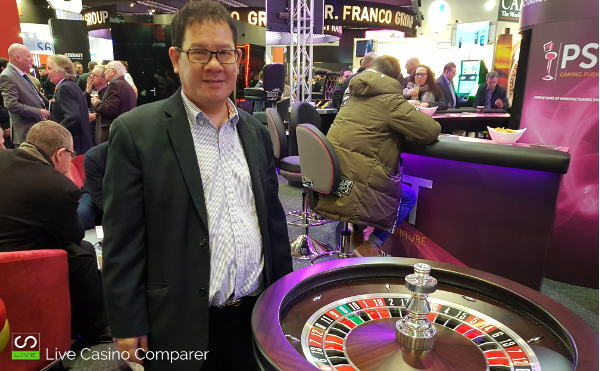 This is a new side bet for Baccarat. all the player cards are black and all the banker cards are red. If either of these two conditions exists the side bet is paid out. A 6 card contrast pays 30-1, a 5 card contrast 17-1 and a 4 card contrast 5-1. 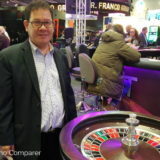 Flush Roulette is played using a normal roulette wheel. The difference is every straight up number comes with 4 card suits. When you bet you’re aiming to pick the correct number and for the side bet to payout you need to have selected the correct suit. 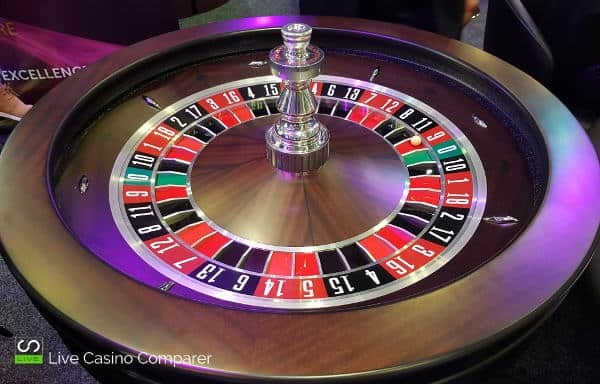 The winning number is determined by the roulette wheel and two suits are picked by an RNG. Get the right number and both suits the payout is 100-1. Get the right number and one suit win 50-1. Just get the number you win 17-1. A sidebet for Blackjack, where the player wins if his first two cards add up to a total of 10 or 20 points. Pair of 5’s wins 22-1. A hand of 10 wins 10-1. A hand of 20 wins 3-1. Stephen Au Yeung is one of those people who just love what they do. He has a real passion for creating games and wanting to get them in front of people. There was a general interest in the stand and his games. I suggested to one or two live casino providers later in the day they should visit Stephen. Some of the games would be ideal additions to their live games portfolios. 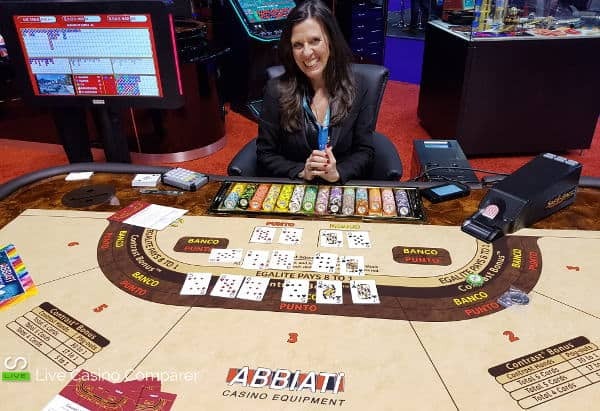 I truly believe we’ll see more of Stephen’s games appear online as live casino providers try to differentiate themselves from each other.